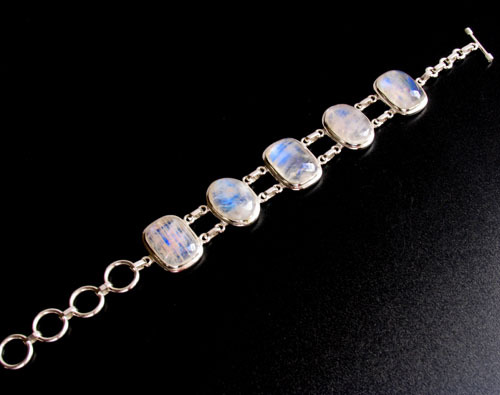 Rainbow moonstone bracelet in sterling silver. Stunning around the wrist these 5 translucent rainbow moonstones glow magnificently with the characteristic floating blue light. 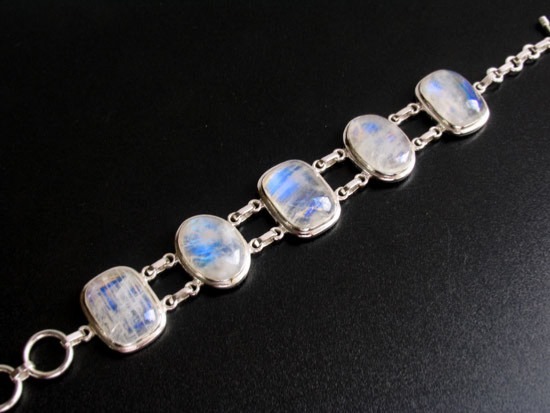 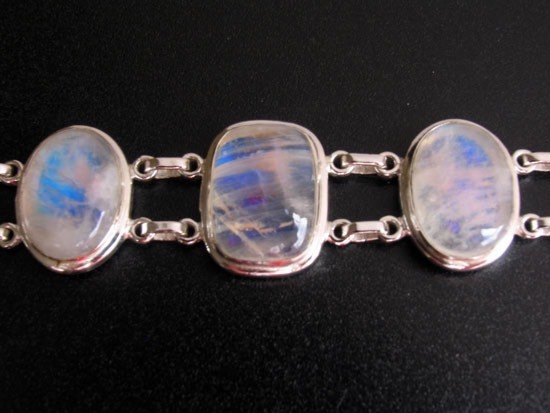 There are 5 large moonstones making up this semi-precious bracelet. 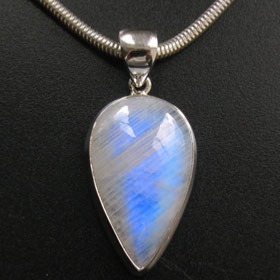 3 are ovals and 2 are rectangles. 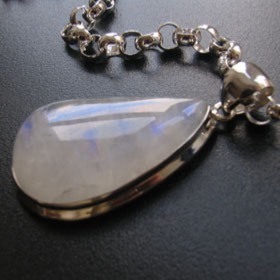 This is a beautiful moonstone bracelet. 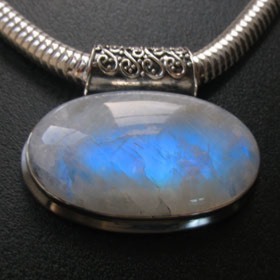 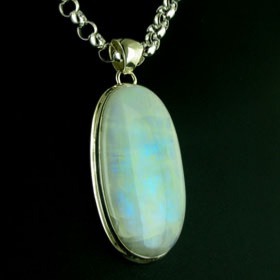 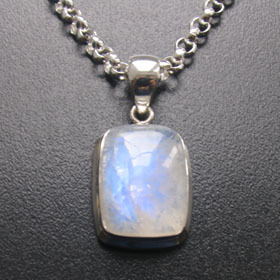 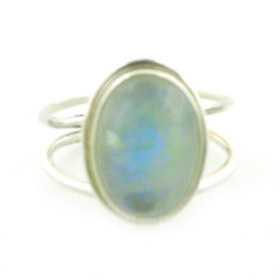 Surrounding each moonstone is a sterling silver frame with a neat stepped edge. 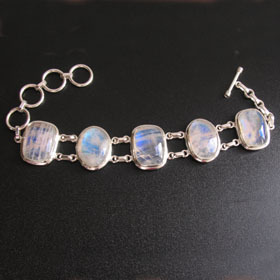 The bracelet is finished with 4 large rings and a toggle fastener and can be adjusted to fit different sized wrists.